“Not everyone wants to work in the city,” says Ross Sticklen, which is just as well because his job is to recruit staff for cattle stations in some of the most remote areas to be found throughout the outback in Northern Queensland. Sticklen is the Human Resources Manager with Australian beef producer Stanbroke which operates eight cattle stations in northern Queensland covering some 1.6 million hectares. The company also manages 46 properties in southern Queensland. diverse backgrounds. We attract Ag. College graduates, tradesmen and those off family properties wanting to develop a career in agriculture, to name a few. “It’s more than horse work these days; a wide range of skills are required to work on a cattle station. We rely a lot on two wheel bikes and side-by-sides which we found much safer for our staff to operate. “Everyone has some skill base and we like to develop and enhance their existing skills to a level that makes them feel confident to deal with or undertake any job assigned to them on one of our stations. “We rate a good attitude as being essential; if you have that and get involved in what the company does you will have a great career in the industry. And it is this remoteness which is one of the toughest challenges facing some cattle properties competing for staff among what are usually small local populations and in Northern Queensland. This has been compounded in the past by the mining sector which is also competing for staff from the same small pool of locals. Data from the Australian Bureau of Statistics shows that in Cloncurry for example, the nearest regional centre to four of Stanbroke’s cattle farms in northern Queensland, a full 10.8 per cent of the population is in agriculture with metal ore mining the only industry to engage more of the population than farming at 21.3 per cent. salaries they offer during boom times. “But boom times don’t last as we have seen time and again and that’s where some people prefer the stability of ongoing, well-paid work at a company like Stanbroke. Sticklen was quick to point out that money was not the only driver for many people, with some preferring the quitter pace of life on the land. 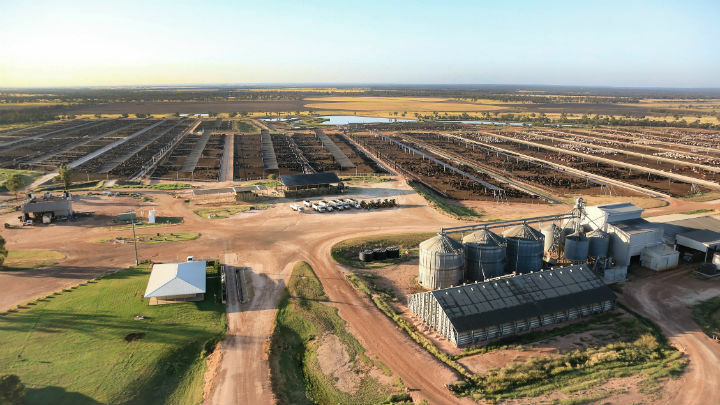 Sticklen, who comes from a grazier background and has 42 years’ experience in the cattle industry, said the variety of jobs available with Stanbroke often included jillaroos and jackaroos, machinery operators, grader drivers and positions at the feedlot and meat processing. comfortable accommodation and meals provided. And surprisingly, cattle stations – while located in some of the most isolated areas of Australia – are doing their best to reach gender parity with women accounting for around 42 per cent of the staff Stanbroke employ on their cattle stations. because they have great attention to detail, they are good with the equipment and the livestock and they are resilient. This article first appeared on HRD Australia. ©Stanbroke 2019. All rights reserved.